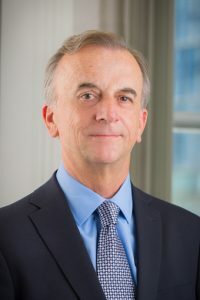 Mark Thomas is the Managing Director of Nathan’s London office and has worked since 1982 as a development economist, largely in Africa and the Caribbean. Mr. Thomas’ many specialties include connecting smallholder farmers to domestic and export markets by developing sustainable supply chain linkages, and working with private sector investors to leverage funds for pro-poor impact. He has worked closely with the public sector, major retailers and brands, and small agribusinesses to achieve maximum value added through policy reform, access to finance, input and service delivery and market development. He is very familiar with “markets systems approaches”, implementing interventions to achieve systemic change in market performance for the benefit of poor producers and consumers, rather than ad hoc problem solving. He has deep experience using the Challenge Fund instrument to support businesses grow and innovate and oversaw DFID’s successful Food Retail Industry Challenge Fund (FRICH), which supported the development of new business models to bring African food products to the UK. His broad expertise extends to monitoring and evaluation for a range of projects and clients. He is currently overseeing Nathan’s delivery of an innovative and rigorous approach to results measurement within the multi-country, multi-project Girls’ Education Challenge, delivering improved learning outcomes for disadvantaged girls in Africa and Asia.